As this long winter finally resigned to summer I found myself needing a change, as I often do. With each new season brings a new themed obsession – this past winter had me clinging to rose products, and the spring before had me buying up anything with a hint of coconut. This summer? I’m all about honey. 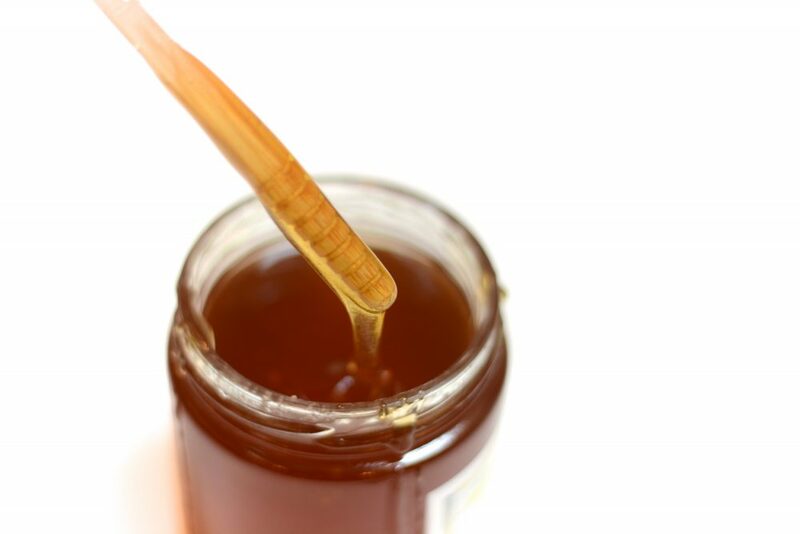 Yes, honey – in all of its light, fresh, and moisturizing glory. 1. Manuka Doctor Apinourish Rejuvenating Face Mask, $85. Ok, so here’s the truth: I’ve been foaming at the mouth to get my hands on a product with bee venom in it. After reading about it being Kate Middleton’s go-to ingredient in beauty products I just had to try it. I mean, it’s Kate Middleton. First, I had to make sure no bees were harmed in the process: here’s a video on the whole Manuka Doctor process. Then I allowed myself to fall in love with it for the first hand benefits. I found my skin to be brighter, plumper, and smoother after just two uses. Isn’t it funny how as we…mature…a plumper face is a good thing? I digress. What happens is the bee venom makes contact with the skin and immediately increases circulation. This increase in blood flow fuels the natural production of collagen and elastin – best friends of young looking skin. This baby has purified bee venom and propolis extract (which have natural antibiotic, anti-reddness, antibacterial and skin rejuvenation properties), manuka honey (antibacterial and anti-redness properties), and royal jelly (full of vitamins, enzymes, and amino acids). I don’t think I would allow a bee to sting me, but this face mask has given me a whole new appreciation for those Apis mellifera. 2. Rêve de Miel Ultra-Nourishing Lip Balm, $19. You know those lip balms that leave you constantly needing to reapply? Well this is the answer to your low maintenance prayers. I apply this miracle balm at night and wake up with it still on. The formula nourishes, repairs, soothes and protects the lips with honey, plant oils, shea butter and grapefruit essence. That honey is a dry lip savior. Note: keep anything with a mention of shea butter off your visage – it’s known to cause a breakout or two. 3. Love & Toast Honey Coconut Handcreme, $9. I’m a sucker for a good hand cream, and it’s rare that I’ll use up a tube before I’m on to the next. This is an exception. I purchased this on a whim at Whole Foods (because of the honey, duh) and have been loyal to it ever since. Disclaimer: it doesn’t actually have pure honey in it…but it has honey extract, I made an executive decision to include it in this article anyways. Its deeply moisturizing, quick absorbing, long lasting, and completely natural – all attributable to the shea butter, macadamia nut, olive fruits, avocado and sunflower oil. Plus it smells fabulous which, let’s be honest, draws us to most products anyways. So I went out and bought Wedderspoon Premium Raw Manuka Active 12+ Honey (the UMF levels relate to the level of antibacterial activity – the higher the better). I made the mistake of overestimating my tolerance for my first foray with New Zealand honey. I slathered a thick layer all over my mug and not even five minutes layer my skin was burning up. I quickly corrected my mistake with a soothing calendula soak (brew the tea, cool in the fridge, soak a clean face cloth in it, and place over face) and yogurt mask, but ouch!! Do a test patch people, do a test patch. Since then I’ve gradually introduced this honey to my skin care routine and it’s quickly become my cure-all staple. I find it a powerful natural pimple banisher, an effective dark mark fader, and an overall fun DIY mask. What I really love it for is speedy wound healing – razor nicks don’t stand a chance. Who else loves this sweet stuff?